It was drawing close to the midnight deadline, when Baha’i writer Anne Gordon Perry first read about the North Texas Poetry Competition, and without hesitation she jumped into the challenge. Though having written many poems in the past, Anne never considered herself a skilled poet, but was eager to try and use the 45 minutes she had to craft and submit a poem that would use thirty words provided in the competition guidelines. The poetry competition, hosted by The Common Language Project and sponsored by The Writer’s Garret, occurs every spring. The North Texas creative writing event results in the publication of an online anthology and offers a reading at a prominent arts venue in Dallas. 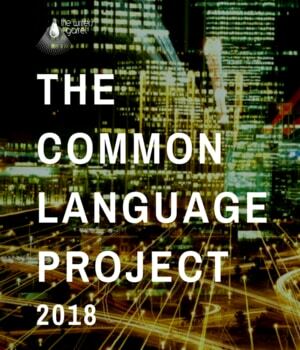 The goal of the project—to celebrate diversity in community through the use of thirty shared words that generate unique poems written by contestants from all over North Texas. Contestants were asked to use all thirty words without changes in tense or form. In the interest of time, Anne decided to come up with a phrase or concept to weave her thoughts and words together. Naturally drawn to the concept of unity, Anne used her belief in the Baha’i Faith to guide and inspire her writing process. In this interview, BahaiTeachings.org speaks with Anne to learn about the poem that won her a place in the final anthology of The Common Language Project, 2018 edition. Anne reflects on her creative process and the meaning behind her poem—one that only became clear after she completed writing it. 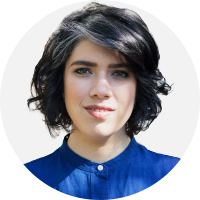 Q: How did you arrive at the unifying idea for your poetry submission? A: As a Baha’i, I am always hoping to convey something of the Baha’i stance on inclusion, on healing from differences and issues such as racial prejudice, sexism, ageism, and so forth, and on voicing hope for a world that can change, that can foster world peace. So, it felt natural that the theme of the poem reflect these words of Baha’u’llah: “So powerful is the light of unity that it can illuminate the whole earth.” – Epistle to the Son of the Wolf, p. 14.
once common dreams are realized. we clasp the tender hopes of all. we find shelter under a larger shade tree. of a whole new world. Q: What was hard about writing the poem? A: The time limit I had and using the word “stanchion.” That took a while to work out. Also, just the sheer challenge of using each of the thirty words. Q: What other works have you published in the past and what are you working on at the moment? A: I have two published books for children, available on Amazon: Magnificent Moles of Mede Meadow and Unseen Witness: Sarah Farmer & The Portsmouth Peace Treaty. I worked on the Mole book for around 30 years, on and off. It went through several incarnations, including a stage play version, which was performed at the University of Texas. The final version is fully illustrated and well designed. It has lots of m-words (words that start with m) for vocabulary enrichment. Baha’i themes such as conflict resolution, actualizing one’s talents, and being true to oneself are embedded. Encourage the children from their earliest years to master every kind of learning, and make them eager to become skilled in every art—the aim being that through the favoring grace of God, the heart of each one may become even as a mirror disclosing the secrets of the universe, penetrating the innermost reality of all things; and that each may earn world-wide fame in all branches of knowledge, science and the arts. – Abdu’l-Baha, A Compilation on Baha’i Education, p. 19. Let the loved ones of God, whether young or old, whether male or female, each according to his capabilities, bestir themselves and spare no efforts to acquire the various current branches of knowledge, both spiritual and secular, and of the arts. – Abdu’l-Baha, A Compilation on Baha’i Education, p. 8. Q: What about the other book you wrote? 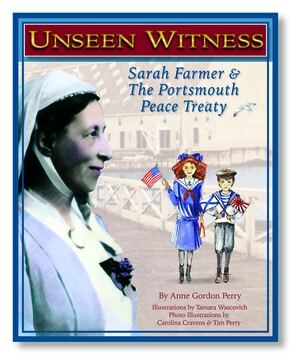 A: Unseen Witness tells the story of a wonderfully heroic woman, Sarah Farmer, and how she witnessed the signing of an important peace treaty in 1905. In the process of writing and publishing it, new research came to light that explained how she got to observe the signing, hidden from sight. This was a thrilling discovery, after 12 years of sleuthing. I’ve also written an article for BahaiTeachings.org about the story. 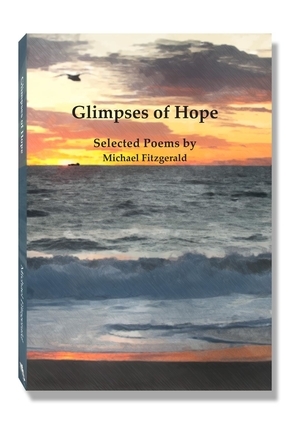 In addition to these two books, I’m working on another children’s story, Tom and the Disappearing Popsicle Sticks, and have just published an anthology of Michael Fitzgerald’s poetry, Glimpses of Hope, available now on Amazon. I also have various published essays, biographical pieces, fictional stories, poems, and reviews, including a book about the history of Green Acre [a Baha’i conference center in Maine], called Green Acre on the Piscataqua. Now, with my husband, Tim Perry, I’ve created a publishing imprint called Nine Petal Press, making it easier to bring various new projects into being. Q: Wow! What do you hope to write/publish in the future? A: A compilation of my own short stories, poetry, and essays, another children’s book entitled Who Makes Knees for Bees, and a book of letters to and from the poet Roger White. Time is precious, and I need to actualize all these projects before it is too late. Q: Has the Baha’i Faith given you a special incentive to write? What are some of the Baha’i quotes that inspire you most as an artist? Every word of thy poetry is indeed like unto a mirror in which the evidences of the devotion and love thou cherishest for God and His chosen ones are reflected … Its perusal hath truly proved highly impressive, for it was indicative of both the light of reunion and the fire of separation. – Baha’u’llah, Tablets of Baha’u’llah, pp. 175-176. The quotations on writing from the Baha’i teachings encourage us to equate our work with worship and to serve humanity through the development of our own talents and capacities, both worldly and spiritual. Q: Have you pursued other forms of art as well? What other mediums do you enjoy exploring? A: Oh, yes. Along with writing I’ve been inspired to dance, act, film, create works in glass, compile, produce, and teach as a result of the Baha’i teachings on the arts. The combination of bringing together one’s art and one’s faith—even when it isn’t mentioned directly—is a powerful one and gives me daily impetus to bring into fruition all that I can while I am alive. After that, I hope to inspire other artists to create what they can. Q: Are there any arts you think will be particularly utilized as the Baha’i Faith evolves? A: Yes, drama, particularly, will be developed to convey aspects of Baha’i history and spirit. Abdu’l-Baha predicted: “The drama is of the utmost importance. It has been a great educational power in the past; it will be so again.” – Abdu’l-Baha in London, p. 93. But I also think music, architecture, visual arts, film—really all of the arts—will be used in new ways that we can’t yet envision. Baha’u’llah himself said: “Arts, crafts and sciences uplift the world of being, and are conducive to its exaltation.” – Bahá’u’lláh, Epistle to the Son of the Wolf, p. 26. The more we are receptive to inspiration, the more we will be inclined to produce works that will inspire others. The poets are the air of the prophets.